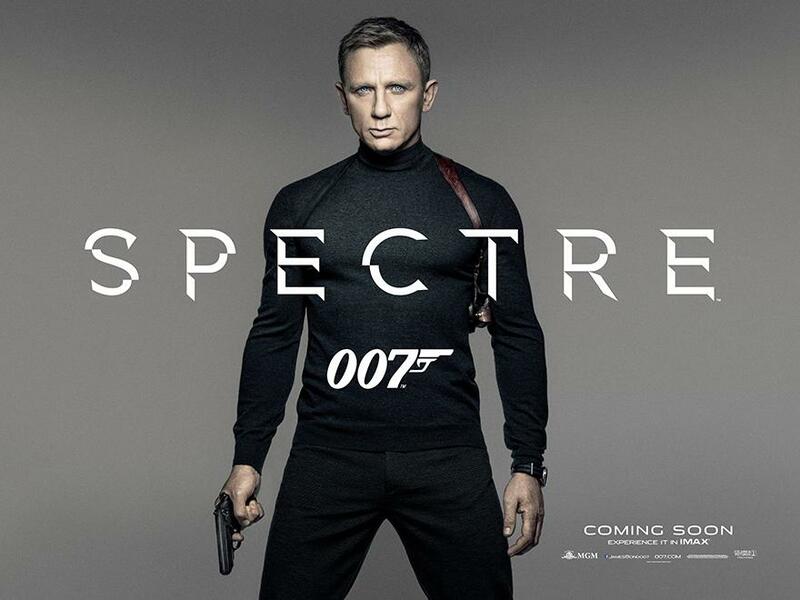 Spectre: A Ghost of a Franchise? There are three compelling reasons to see a spy thriller: satisfying plot twists, sardonically witty interplay, and thrilling fights and chase scenes. I suppose we could add a fourth reason as well: familiarity. We become familiar with the characters in the various spy franchises, from Bourne to Bond to Ethan Hunt (Mission Impossible), and we can’t wait to see what they are up to every couple of years. Premise three, the chase scenes, is disappointing too. Yes, there is a thrilling fight inside a flailing helicopter, but Tom Cruise did that in MI as well—only he did the stunt himself, hanging onto the outside of an airplane as it flew at high speeds above the ground. Instead, Craig’s stunt double is all-too-obvious standing on the strut of the chopper, and the interior fight scenes are just as obviously filmed in front of a green screen. The biggest chase scene, in which Bond commandeers a small plane and tries to force a car off the side of a snowy mountain road, doesn’t even make sense, because the girl he is trying to rescue is inside the car that he is trying to force off the mountain! The only saving grace in the film is Christoph Waltz as the mastermind, Franz Oberhauser. Waltz has become an expert at playing the smilingly sadistic bad guy with the sophisticated German accent, and here he is just as well-mannered, genteel and kind as he inflicts pain and torture upon his victims. Waltz’s go-to villain was developed under the slightly psychotic direction of Quentin Tarantino in Inglourious Basterds (2009) and Django Unchained (2012), for which Waltz won two Oscars. But there is nothing new and special—nothing gargantuan—about Franz Oberhauser, and that’s what we expect in a Bond film: gargantuan comic-book villains. He’s just too familiar, too perfectly typecast. This leads us to premise four: familiarity. Familiarity with a character and a franchise can bring us to the theater, but it can’t sustain us by itself. The Broccoli film dynasty has been producing Bond films every couple of years for over half a century, and they have become as comfortable—and as welcome—as an old shoe. 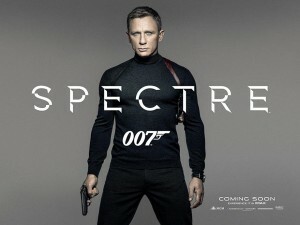 But if the past three films are any indication of their permanent new direction, I think the premise of Spectre’s plot might be the only part of this film that rings true: it may be time to retire the Double-O franchise. Spectre, directed by Sam Mendes, MGM and Columbia Pictures (2015) 148 minutes. Rivers can be powerful symbols literature. In mythology, the river Styx separates mortals from immorality; in “Siddhartha,” the river represents the discovery of truth; in “Huckleberry Finn,” the river represents freedom and honesty–only on land does Huck encounter bigotry, hypocrisy and deception. In the 19th century two phrases developed that struck fear in the hearts of certain men: “down the river” and “up the river.” To a slave, “down the river” meant being sold down the Mississippi toward New Orleans, where plantation owners were poorer and thus harsher and more demanding. To a Manhattan thug, “up the river” meant up the Hudson to Sing Sing, the most brutal penitentiary in America at the time. 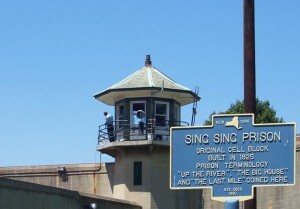 My husband Mark and I go up the river regularly to Sing Sing, where conditions are no longer so brutal Sing Sing was once called a penitentiary, but now it is called a correctional facility. It suggests a significant difference within the New York Correctional System. We go as educators, Mark teaching economics and I teaching courses in literature and writing. The program, taught by Mercy College professors, is privately funded through donations to Hudson Link for Higher Education, which administers the program. Mark had some apprehensions about what we would find in the classrooms, based on comments made by his friends and colleagues when he told them what we were going to do. “You’re crazy!” they said. “Sing Sing is a maximum security prison. These are vile criminals. You could be attacked or held hostage. What are you thinking? ?” My expectations were more reasoned, based on conversations with my colleagues at Mercy College who have taught in the prison system at Sing Sing and at Bedford, the women’s correctional facility, for several years. “These are some of the best students you will ever encounter,” they have told me. Which of our friends would turn out to be right, we wondered. It was dark and drizzling as we approached the prison tour first night, the fog creating an eerie effect as we looked at Sing Sing for the first time. I shuddered, thinking of all the men who have spent their lives here, the earliest ones under the cruelest of circumstances, and many of them convicted of crimes they did not commit. I was apprehensive about what we would find inside, but grateful for the opportunity to teach the inmates and perhaps change their lives. After eight years, the process has become routine, but you never really get used to it. As we enter the “big house” in front, the most noticeable feature is the heavy iron bars blocking the way into every room off the entrance. After passing through the most sensitive metal detector ever (even after removing my wedding ring and eyeglasses, I still set it off) and then waiting while the guard looks at every book and paper in our bags, we walk through a series of double-locked sully ports. We wait in an austere holding room for half an hour or more, until the gate guard calls out, “Bus! !”A guard pulls out a massive key to open the first gate; the evening’s volunteers step through, scrunch together to stand in a small passageway, and wait while he locks us in. Then another guard opens the next gate with another massive key, and we pass through into another corridor leading to even more gates going in various directions. The decrepit hexagonal guard towers and high barbed fences seem eerily familiar, even to first-timers, as we walk the old path between the buildings and the fence toward the van that will take us to the school building. We’ve seen this prison many times in movies, and I half expect to see James Cagney step out from the shadows. Finally we board a prison van that is also used to transport inmates for various reasons. It is cramped, barred, and smells like despair. That despair did not travel with us into the school building. Both of us walked away from our first evening of classes exhilarated. These students are golden. Bright, eager, cooperative, engaged and engaging, they want to learn. They know that a degree will change their lives and the lives of their families. It’s true that some of these students are lifers who will never leave Sing Sing, never “use” their degree to get a job. But it matters to them anyway. They are earning a degree for the right reasons: to change themselves and their families. Many of these students are the first in their families ever to go to college, and their children are now following their examples. Several impressions struck me on the first night of my first class. First, I had a stereotype of my own to overcome. I expected my students to be dressed in bright orange jump suits and perhaps shackled for my protection. They laugh now when I tell them what I expected. Instead, they all look as though they came to school from their jobs as lawn care workers or road crew. They all wear dark green slacks, but their shirts are completely civilian polo shirts and sweatshirts made by Gap or Izod or Guess. I was surprised to see how normal they look, as though they could be any young men in any night class. My Sing Sing students seem mostly in their 20s or 30s, although some are much older. One seemed to be about 60, although it’s hard to tell when you live that kind of life. I have learned over the years that prison life has a way of not aging a person; most of them are ten years older than they look. In that first class I noticed that the only three white men sat on the periphery, one in each corner, outside the group of mostly Latino and black students but not inside their own group, either. It made me wonder about the level of racism that exists inside the prison. I resolved that night to ask about it during our study of “Othello,” since racism is one of the issues in the play. Since then, however, I have seen more mixing among the races, and I realized that the separation of those three men was based more on their age and interest than on their skin color; I have heard that racism is a problem in many correctional facilities, but the men in my classes seem to be virtually color blind. My most stunning reaction that first night was my overwhelming sadness for their situations. I can go home; they can’t. Of course, I don’t know why they are here, or what they have done. But throughout that first night, as they asked questions and contributed insights, I kept thinking, “You don’t belong here!” That’s what education can do for the inmates fortunate enough to have made it into this program: they are literally changed, penitent, corrected. I was struck by their calm self-assurance and willing participation in discussions. I asked them how many wanted to be writers, and every hand went up. Two students finished their in-class essays early, so I began reading them while the others continued writing theirs. I noticed how one young man watched as I read his essay, anxious to see the comments I was writing in his margins. When I handed it to him (a check+) he smiled and showed it to the student next to him whose essay I was then reading. That one was full of “legalese,” a phony academic voice that students often adopt when they don’t trust their own voice. I called the student up to my desk and talked to him about how to create his own voice. He nodded eagerly and said he would try. Here was an opportunity for me to truly teach, and not just add a few credits to a transcript. Too soon our class time was over. No bells ring to announce the end of class; instead, a loud gruff voice yells into a squawk box, “Bu-u-u-s!” and that the signal for visitors (that’s us) to leave. Our students hurriedly hand in their assignments and urge us to go. Many from other classrooms come up to greet us and shake our hands as we make our way through the hallway and down the dimly lit staircase. Outside, the regular inmates congregate in the yard on the other side of the fence, walking in small groups to stay warm, or standing around the television sets that are on display in wooden enclosures in each corner of the yard, each tuned to a different channel to avoid arguments about what to watch. In the summer we might hear the crack of a bat as they play baseball. By the time we leave, the sun has gone down, and it’s dark in the yard. Inside the lighted school building, our students mill around the classrooms, warm and relaxed among the books, the teachers, and the students–their peers. They’ll be here again tomorrow night, and every night, working toward a degree that may never turn into a job. But it will indeed correct them.